Dubai-based performance marketing startup ArabyAds has raised $6.5 million as Series A funding from Equitrust, investment arm of Choueiri Group, the startup announced in a statement today, saying it is the first external funding round that the company has raised to date. 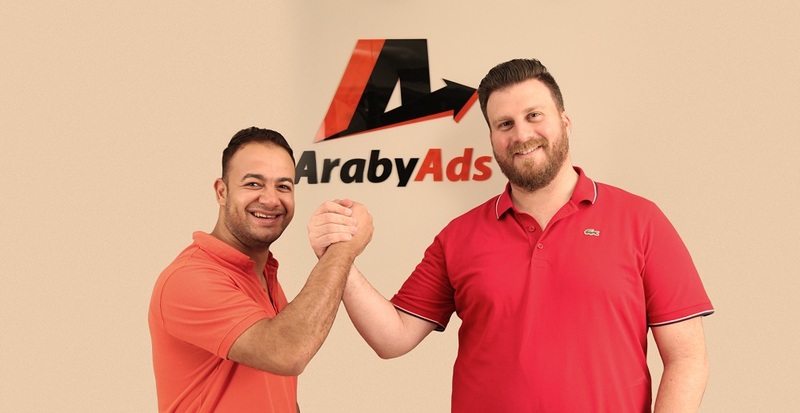 Founded in 2013 by Mahmoud Fathy and Mohammed Khartabil, ArabyAds had started in Egypt and later moved its headquarters to Dubai, while maintaining the Cairo office that still employes most of its employees. ArabyAds, according to the statement currently offers three types of performance marketing solutions, including influencer marketing, affiliate marketing, and media buying. Influencer marketing enables matches brands with the right advertisers to launch result-based campaigns. Affiliate marketing enables brands, companies, and advertisers to advertise on different publishing platform using pay per action model and access real-time performance reports. And the media buying option allows advertisers to buy qualified leads, app install, new subscribers or confirmed orders. ArabyAds designs a campaign around the desired objective at a pre-agreed price. The startup since launching its services has worked with over 450 clients so far including Landmark, Emaar, Etihad Airways, Souq.com, Namshi, Jumia, Wadi, and Noon. ArabyAds claims to have generated over $60 million in sales for its clients during 2018 Black Friday.